We offer a unique vending technology that allows you and your employees to more easily report vending service issues. 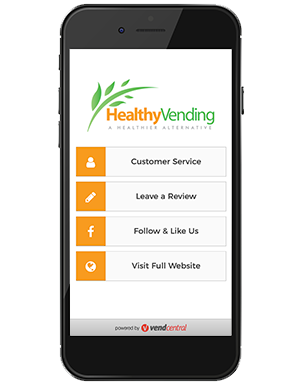 This award-winning program combines an exclusive mobile app with QR codes located on our vending machines. If there’s ever a problem, any user can simply scan the QR code with their smart phone and instantaneously report the issue. No need to go through a customer service representative, reporting through the mobile app results in immediate tech personnel response. In addition to reporting service issues, this app can also be used to request new products. It’s the ultimate in customer service with a focus on personalized attention.